Connect Avocode web app with VS Code to inspect designs inside your text editor and to get code suggestions from layer styles. Integrate Avocode web app with Visual Studio Code to inspect Photoshop & Sketch designs inside your text editor and to get code suggestions from layer styles. 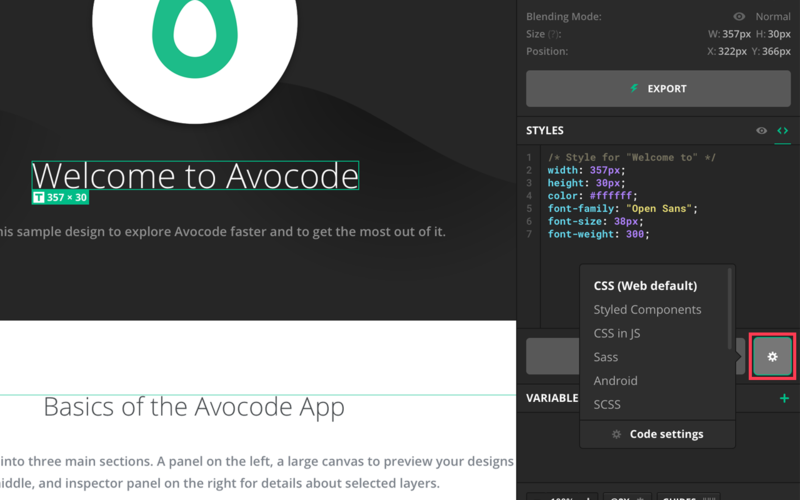 Then press CMD/CTRL + SHIFT + P and type in > avocode to launch Avocode. CSS, Less, Sass, Less, SCSS, Stylus, React Native, CSS in JS, Styled Components, Swift, and Android.